Veronica Rampant here with a tale from the Crypt! Legendary comic book publisher EC Comics, responsible for such brain-rotting, subversive, and, some might say, un-American material as TALES FROM THE CRYPT, WEIRD SCIENCE, and MAD MAGAZINE has risen from the grave to ink a deal with Hivemind, the production company founded by former Bad Robot TV chief Kathy Lingg (WESTWORLD, FRINGE), former Valiant Comics Chief Creative Officer Dinesh Shamdasani, and Sean Daniel and Jason Brown, the producers of THE EXPANSE. 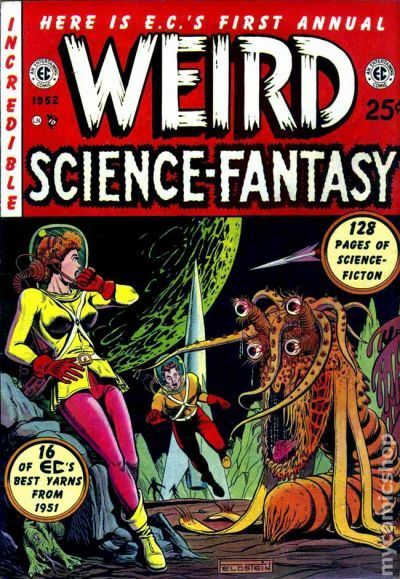 The first projects being rolled out under the new deal are a tv series based on the classic EC anthology, WEIRD FANTASY, and a biopic about maverick EC publisher William Gaines. If you don't know the story of William M. Gaines, it's an amazing chapter in American history. 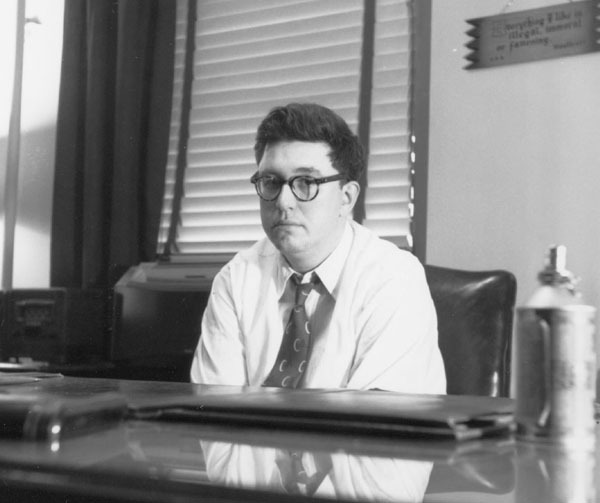 Gaines was targeted in the juvenile delinquency panic of the 1950s, and testified in front of the House Committee on Un-American Activities, making a passionate defense of free speech. When the Comics Code was initiated - largely in response to exactly the kind of comics Gaines published - Gaines was disgusted. Rather than give in to censorship, he pivoted to a magazine format for MAD, and published it by subscription only. MAD Magazine - and Bill Gaines - became a leading force in the counterculture of the 1960's. EC also launched the careers of some of the greatest comic book talents of the era, including Wally Wood, Harvey Kurtzman, Al Feldstein, Marie Severin, and Will Elder. Gaines was supportive of his artists, a tradition that he continued at MAD Magazine with artists like Jack Davis, Sergio Aragones and Antonio Prohias. I've been following news of a Gaines biopic for years now (I actually have a script for one in the drawer, myself), and I wonder if this is the same project that John Landis was trying to find financing for almost 10 years ago? Landis seems like a great match for Gaines' sensibility. Maybe that option needed to expire before Hivemind could pick it up. In any case, it looks like we're finally going to see this movie come to a screen. Who do you think should play Gaines?